Not to scare you, but the widely accepted Outliers principle for success in any activity, not just sports, calls for 10,000 hours of learning and practice. 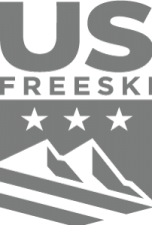 Assuming Freestyle America athletes are seeking a mastery of sorts, let’s do a bit of math. A 10 year old would like to be a masterful half pipe skier, determined to make the 2022 Olympics. The 10 year old, having just finished War and Peace reads Outliers and plans out her 10,000 hours. Well, over 10 years that’s 1,000 hours of training per year or fifty 40 hour weeks per year, Yikes! Sounds like a full time job. Better line up a few sponsors, and Mom and Dad better be sick at home-schooling, or better yet, high tail off to a ski academy at the age of 10! Isn’t math fun!